The Nokia Lumia 930 is the next high-end model from the Finnish handset manufacturer, and will come with Windows Phone 8.1 out of the box. 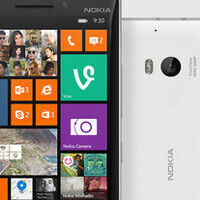 This is basically going to be the Nokia Lumia Icon for the global market. Right now, the Lumia Icon is an exclusive for Verizon customers. Next month, customers of Vodafone Germany will be able to pre-order the Nokia Lumia 930 in Black, White, Orange or Green. The handset will be released in June.